Book your Aerial Adventure today at Wind Creek Ziplines and Aerial Adventure Park. With two options to choose from, you are sure to find an adventure in the trees for almost anyone! Explore the tree canopy with our 6 sky walks and 5 ziplines. Beautiful views from a bird's eye perspective. A great introduction to zipline canopy tours! This tour includes Level 1. You will Experience 11 ziplines and 6 sky walks in the trees with heights from 20 to 70 feet in the air and ziplines ranging in length from 200 to 650 feet. Great lake views, fun bridge walks and exhilarating ziplines. 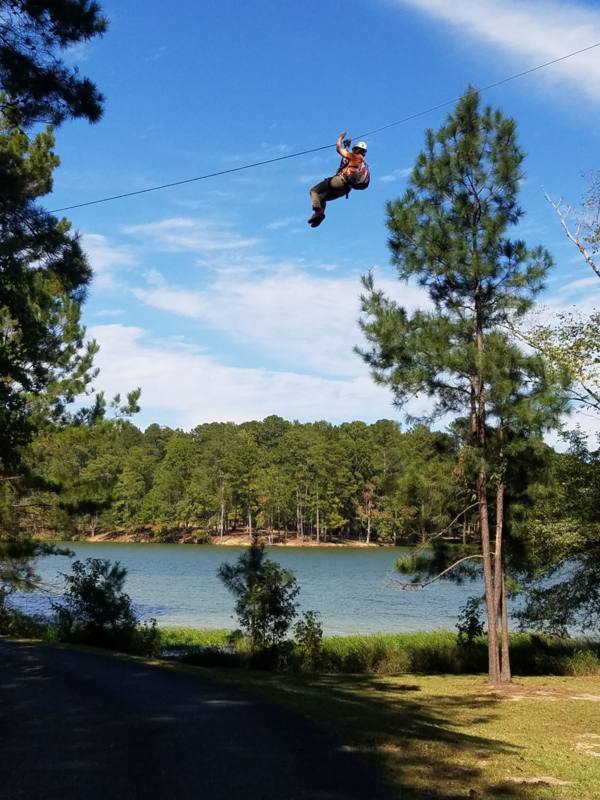 Come out and see the New Zipline and Aerial Adventure Park at Wind Creek State Park. Must be at least 8 years old and minimum weight of 50 lbs. Max weights: Under 250 lbs for girls and under 285 lbs for guys.